– to find ways for the future collaboration of partners. The first days of conference were devoted to the developed courses workshops. The course developers made a presentation of the course curricula, lecture plan, laboratory and practice works, quiz and teacher guide. University teachers who joined these workshops learned a lot of new useful staff about developed master courses. Industry partners evaluated the courses as a high level of practical adaptation. Each team of course developers was international. They were IT specialists from different universities and companies, everybody has own practical experience. Each course leader coordinated the team work. The Wi-Fi and Mobile Security course was presented by Maryna Yevdokymenko, Volodymyr Sokolov and Dmytro Ageiev. They focused on the laboratory work for students on microdevices (PwnPi and Kali on Raspberry Pi). The Advanced Network & Cloud Security course was presented by Igor Ushakov, Kurt Tutchku, Igor Kotenko and Olena Nyemkova. They paid attention to the software-based advanced networking and laboratory works for students. 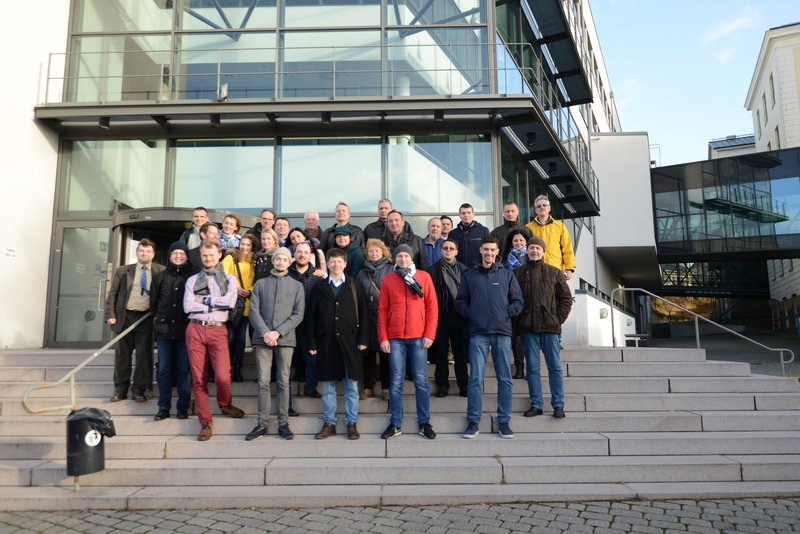 The Digital Forensic course was presented by Andrey Chechulin and Anders Carlsson. They organized a discussion about the importance of studying the practical cases for students. The Web security course was presented by Maryna Yevdokymenko, Evgeniya Kuzminykh and Sergei Syroezhkin. They took extra care about the main guidelines for teachers. The Software Security course was presented by Tomasz Surmacz and Przemyslaw Swiercz. They talked more about the course curricula. The Penetration testing course was presented by Alexander Dorofeev and Andriian Piskozub. They focused on the most important stages during pentesting (discovery; vulnerability assessment; exploitation; privilege escalation). The presented 22 labs of course cover the main aspects of Penetration Testing. On the final conference day all participants were awarded by certificates and diplomas of appreciation. Anders Carlsson, the general ENGENSEC manager, thanked the participants for the 4-year collaboration. The partners’ joint efforts helped to achieve great project results.